Scully has lived a nomadic life, since his family left Dublin for London when he was aged four. In 1968 he began studying at the University of Newcastle, where his daily experience of the architecture impacted directly on his work, leading to the tight weave grids which dominate his mature output during this period. 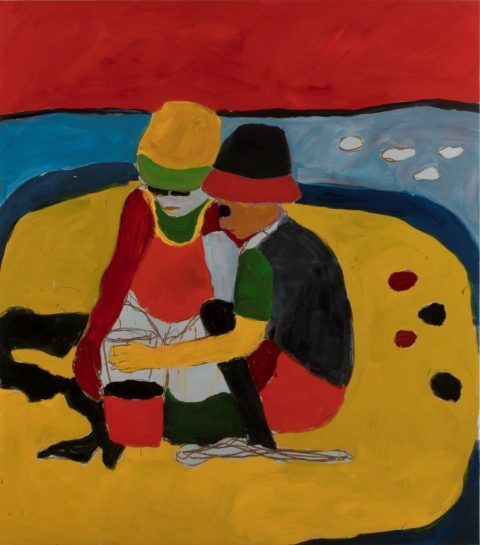 Awarded the Frank Knox Fellowship to Harvard University in 1972, the young artist visited the United States for the first time. By the mid-70s he had settled in New York and the compositional structure of his grid paintings was pared down to thin vertical or horizontal lines, in a monochrome palette. In 1980, Scully travelled to Mexico, a location he would return to again and again, inspired by the light playing on the Mayan stone, which informed his Wall of Light series. Travelling extensively throughout his career, Scully has worked in studios in New York, Barcelona and Bavaria. While the traits of specific locations have left their mark on Scully’s work, his celebrated series, Landline, speaks to a universal feature of landscape: the horizon. 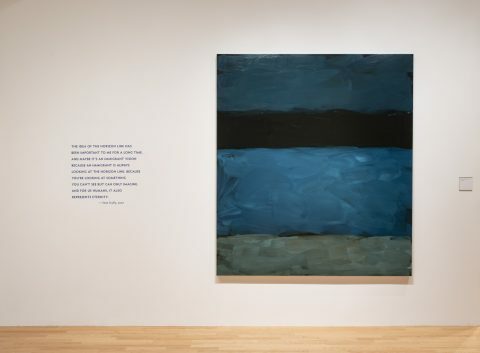 These paintings, which Scully started in 1999 and continues to develop today, capture what the artist calls ‘the elemental coming-together of land and sea, sky and land….stacked in horizon lines endlessly beginning and ending’. 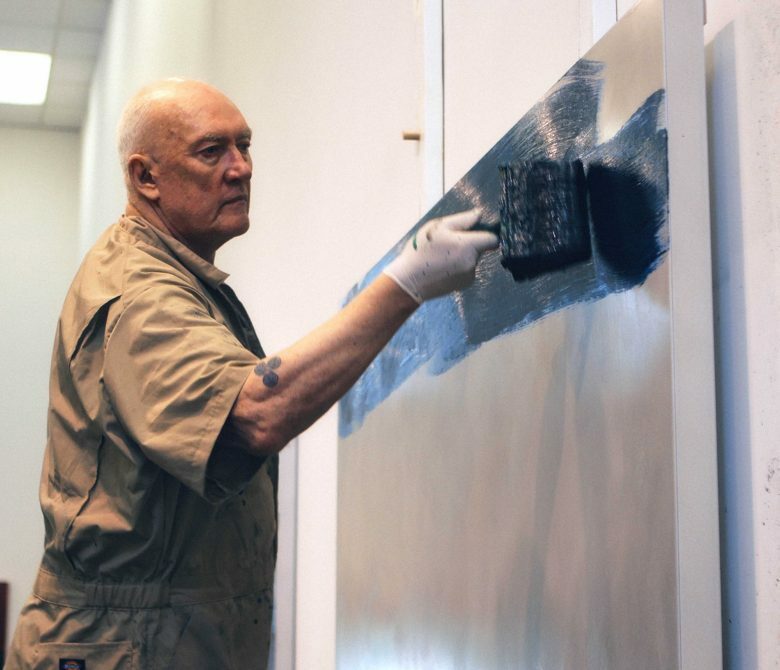 Sean Scully was elected a Royal Academician in 2013. He has been shortlisted for the Turner Prize twice, in 1989 and in 1993. 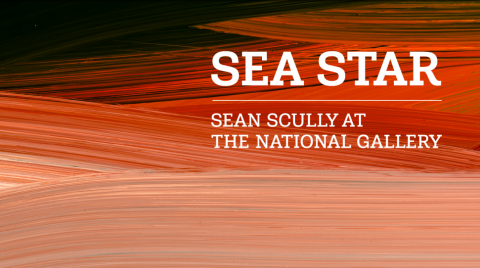 Scully’s work is held in numerous public collections, including The Metropolitan Museum of Art, Museum of Modern Art and Solomon R. Guggenheim Museum, New York, US; The National Gallery of Art, the Corcoran Gallery of Art, and Hirshhorn Museum and Sculpture Garden, Washington, D.C., US; Modern Art Museum of Fort Worth, US; Tate, London, UK; Kunstsammlung Nordrhein-Westfalen K20K21, Düsseldorf, DE; Albertina, Vienna, AT; Museo Nacional Centro de Arte Reina Sofia, Madrid, ES; Instituto Valencia d’Arte Modern, Valencia, ES; Guangzhou Museum of Art, Guangzhou, and China Central Academy of Fine Arts, Beijing, CN. Hirshhorn Museum and Sculpture Garden, Washington, D.C, US.